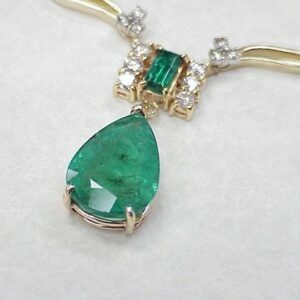 GEM: Columbian Emerald measuring (1) 14 X 10 mm (1) 6 X 3 mm = 4.58 ctw. 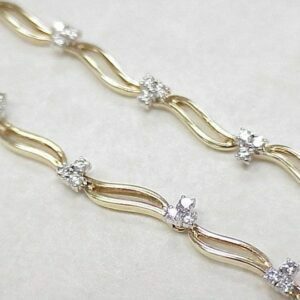 Diamond (33) 1.7 mm to 2.3 mm = 1.92 ctw, weight based on measurement. 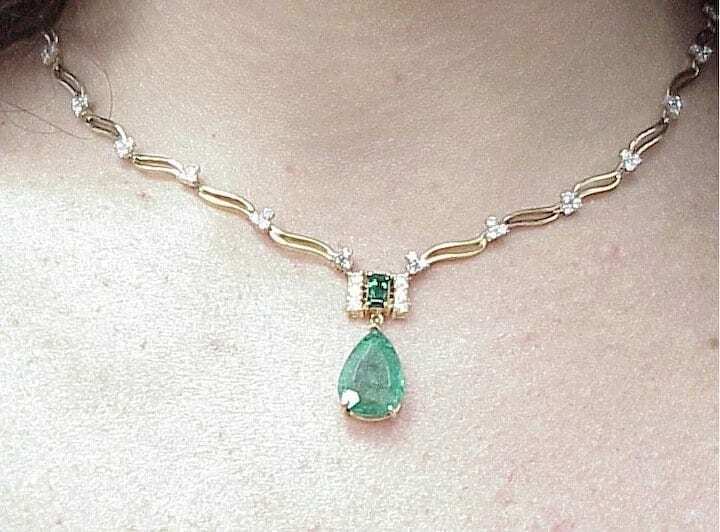 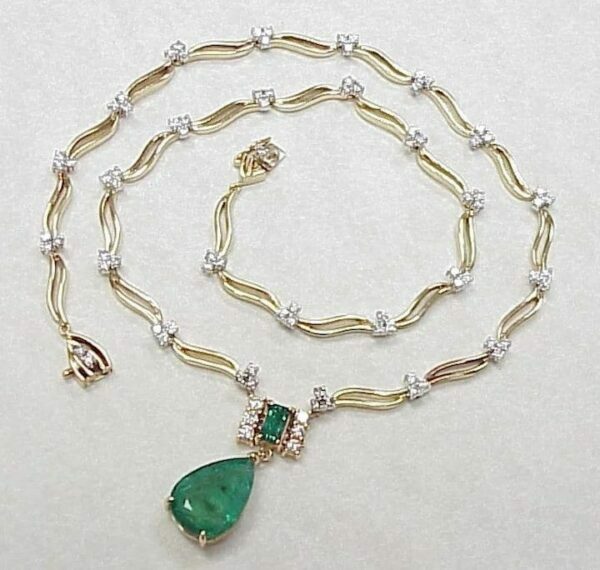 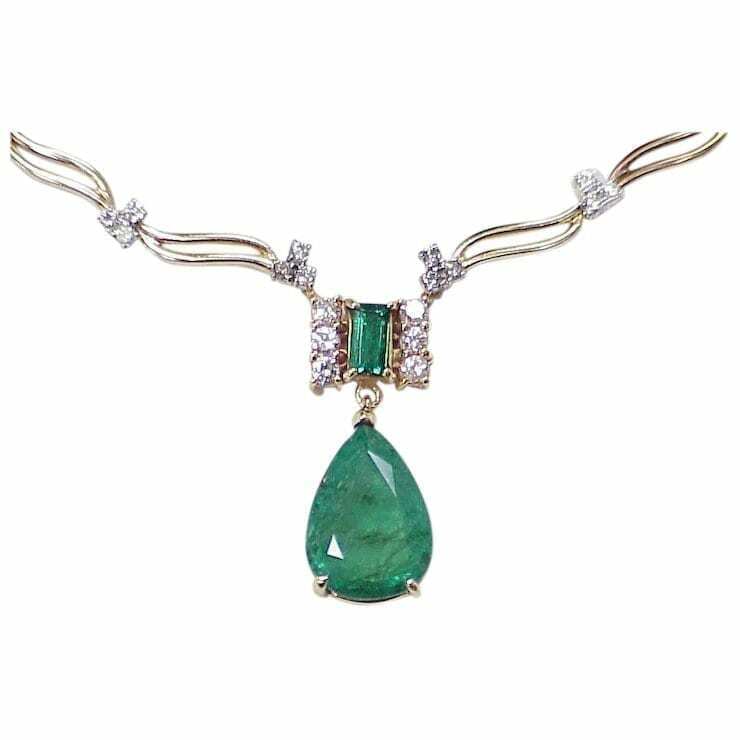 COMMENTS: Natural Emerald, fancy 4.18 carat pear faceted with straight baguette .40 carat accent are the centerpiece of this amazing necklace! 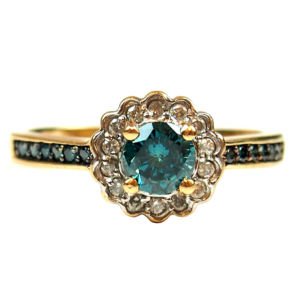 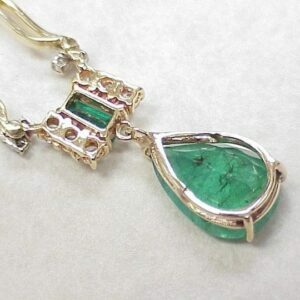 These stunning Emeralds are deep grass-green color kissed with a touch of blue. 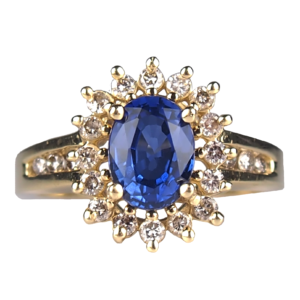 The bright, rich and intense hue makes these highly prized gemstones. 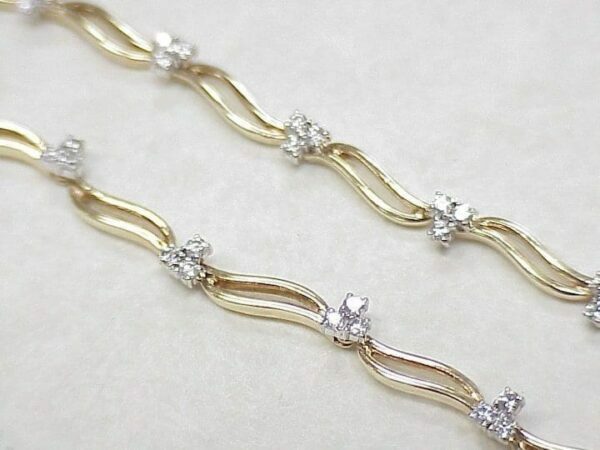 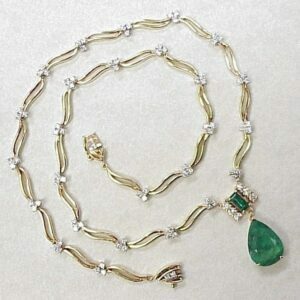 The necklace is created in 14k gold with thirty-three round brilliant diamond totaling 1.92 carats. Pictured as received from a local estate in excellent condition with minimal wear. 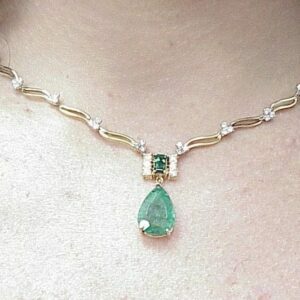 Cleaning and polishing are available by request at no additional cost. 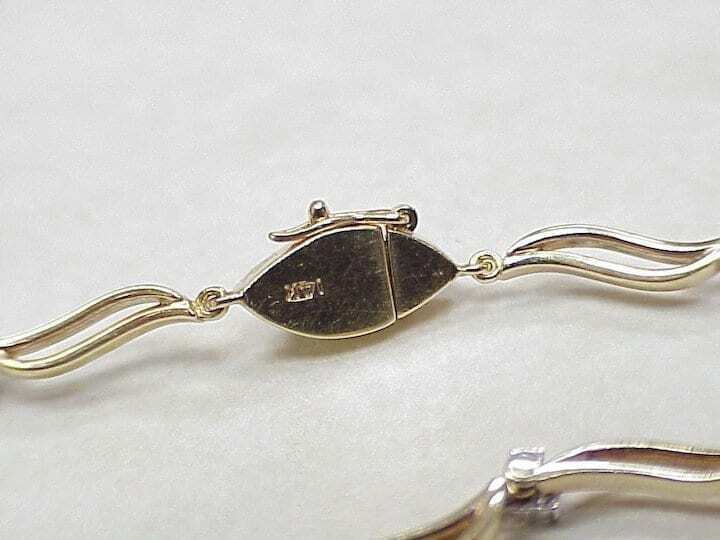 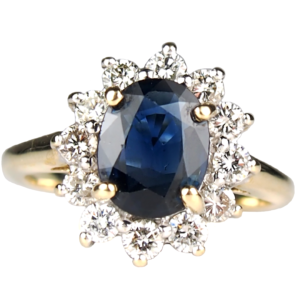 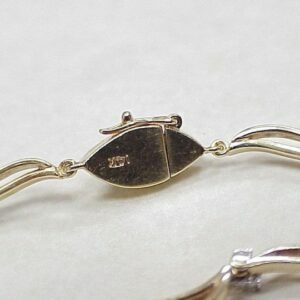 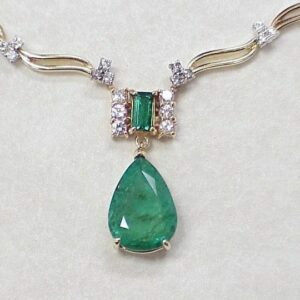 May birthstone and also traditional gift for 35th wedding anniversary. 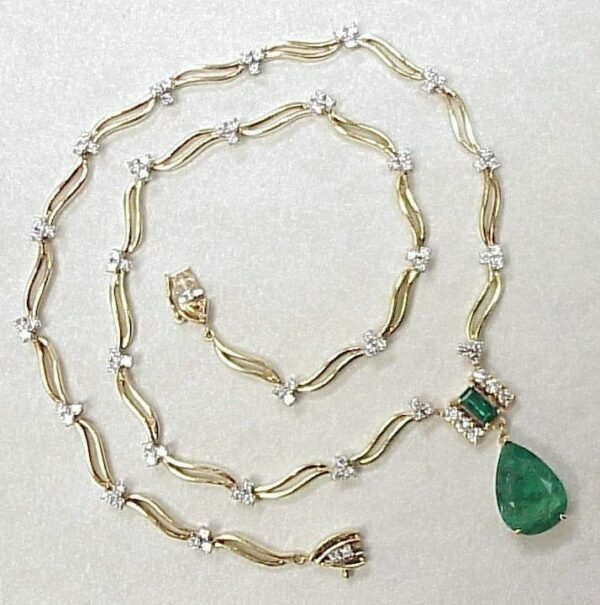 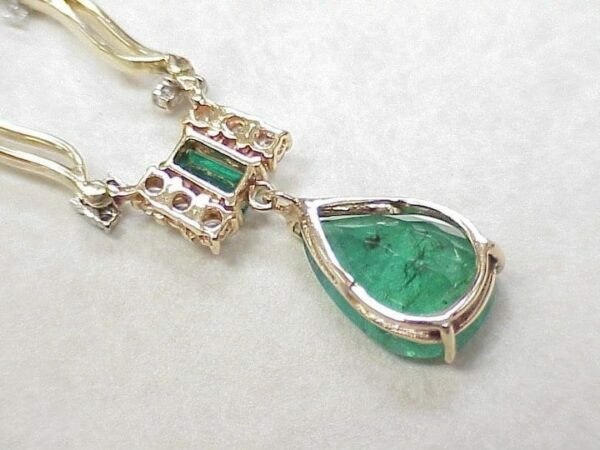 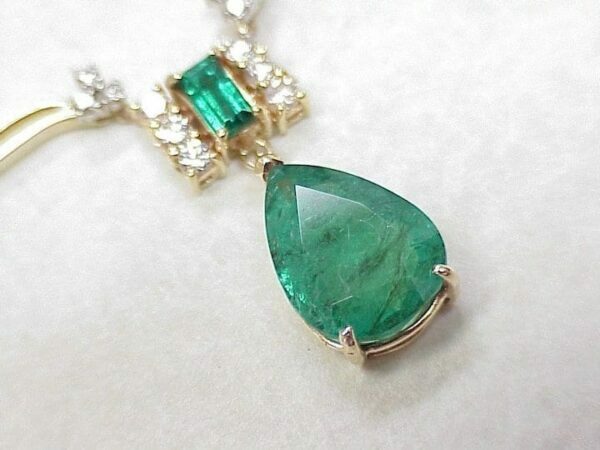 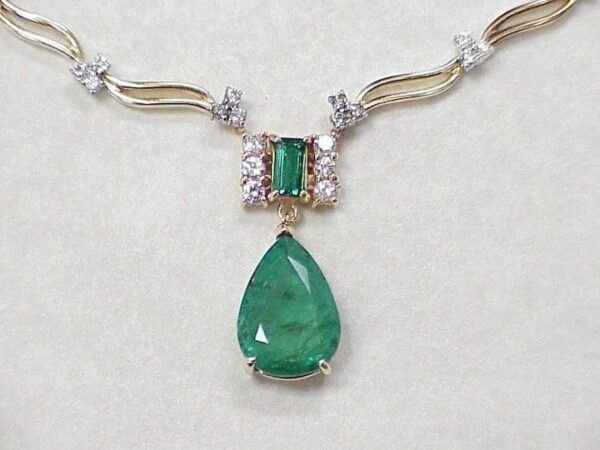 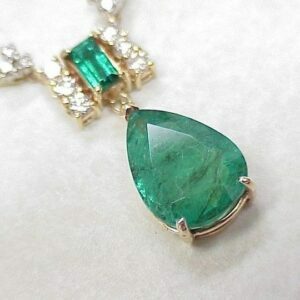 The emerald is the sacred stone of the goddess Venus. 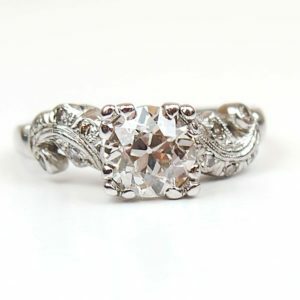 It was thought to preserve love. 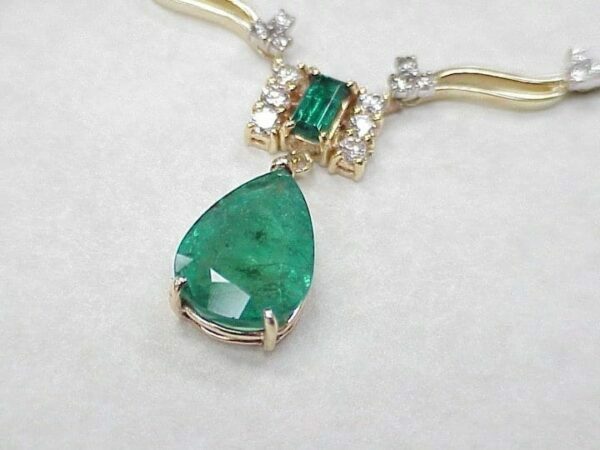 The emerald has long been the symbol of hope.